Belching Beaver Brewery - San Diego Dining Dish! So many of us forget that San Diego is world-renowned for its numerous craft beer breweries. 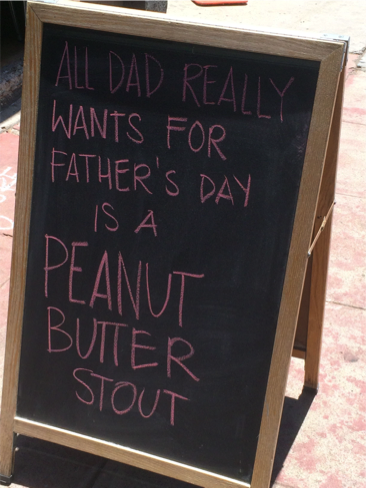 I recently visited, as part of our Father’s Day festivities, Belching Beaver to take advantage of this fact. Belching Beaver is family-friendly brewery conveniently located in North Park, and has an amazing selection of beers from standard IPAs and Belgian ales to more interesting options and beer ice cream floats. 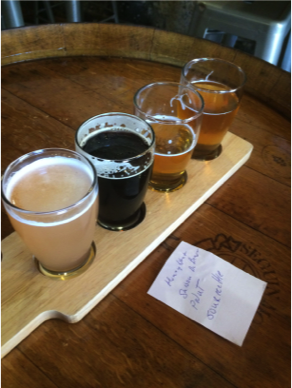 We chose to do a 4-beer flight of Saison De Beaver, Me So Honey, Peanut Butter Stout, and the Sour Kettle Saison. 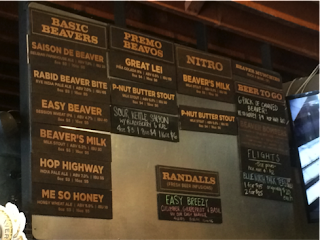 The Saison De Beaver and Me So Honey are, respectively, a standard Belgian Ale and Honey Wheat Ales. These two are two excellent examples of these types of beers with a good story with each sip. Good start, middle, and finish -- important points since so often I find beers and wines start good and either die quickly or linger too long and throw off my second sip. The next beer, the Peanut Butter Stout, was AMAZING. It was like a Reese’s Cup but a beer! It is one of the suggested options for milkshakes, which I didn’t try this time around but maybe next time. It’s a beer like no other I have never had and is approachable for non-beer and beer drinkers alike. The final beer was the Sour Kettle Saison, my favorite, a refreshing option on a hot summer’s day. It mixed sour and sweet flavors with a hint of blackberry. Overall it was an excellent time with excellent beers. I will be back for seconds, maybe next time to check out a beer float.